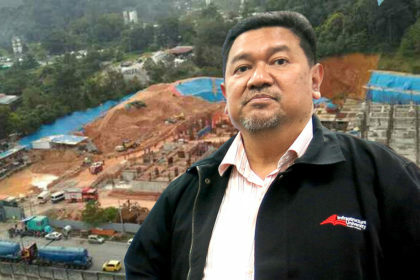 KUALA LUMPUR: The landslide incident that caused several workers dead at the construction site in Tanjung Bungah, Penang on Saturday has raised various opinions and perceptions from many sectors including the ministry, non- governmental organisations (NGO) and also individuals. 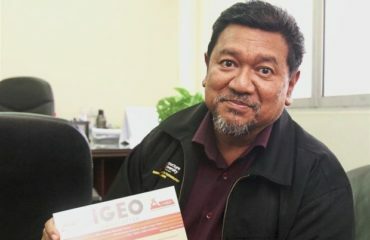 However, Director of Institute of Geo Disaster Research Centre Infrastructure University Kuala Lumpur (IUKL) who is also Vice Chancellor and President of IUKL, Prof. Dr Roslan Zainal Abidin has raised several points that have to be considered following the landslide tragedy. Roslan said, investigation must be conducted on the soil properties and its degree of erodibility. In the investigation, the percentage of soil content which includes silt, sand and clay should be made. “If the percentages of sand and silt are high in the soil content, then the risk for a landslide to occur is critical but if it contains more clay then the risk is lower. This is based on ROM Scale reading,” he said when contacted by MWN today. He also pointed out that the rainfall erosivity must be made known at the tragedy’s site before it happens. Elaborating on this point he said, if a rainfall above 20mm per day occur then the potentiality for the movement of the land that causes landslide to happen is very high. 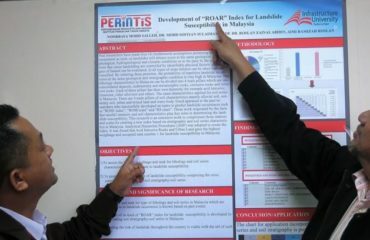 Roslan also cited that a major landslide had happened in Simunjan, Sarawak in 2002, when the rainfall reached 500mm per week. He also mentioned, another factor which should be considered seriously by the authorities concerned is an investigation should be made on the suitability of the temporary slope protection at the area of incident. “The temporary slope protection is not enough by covering it with blue cloth or materials. If the soil contents are critical for a landslide to occur, then a permanent measure and a full monitoring work should be made in case there is a land movement. “If the soil contents are critical then the chances for water sipping in from the back is very high thus causing landslide to happen,” he said.